Parliamentary Secretary for Culture, Senator Brenda Hood, says that her Ministry along with other stakeholders will give the artistes who represented Grenada in the International Soca Monarch and Groovy competitions a grand welcome upon their return to the island. “It was anticipated that Mr Killa would win, but he came second and represented us well; that representation was not just on the night but throughout the entire carnival season, so too was Tallpree and we are in the process of planning a grand welcome for the two who have promoted Grenada at the highest level in the region,” Hood said on Monday. Hollice “Mr Killa” Mapp and Wilt “Tallpree” Cambridge were among regional soca artistes who competed at last week Friday night’s International Soca Monarch and Groovy Competitions in Trinidad. 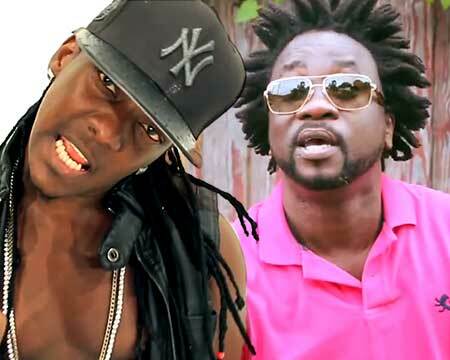 Killa performed his popular “Rolly Polly” tune and was among three who tied for second in the soca competition, while Tallpree did not place in the top four of the Groovy but performed to his usual high standard. “They made us felt very proud and coming second to Machel Montano is a major achievement and historic for Hollice. Now despite the fact that he has to share the position with others he has made history,” she added. Tallpree is already an appointed Cultural Ambassador for Grenada and Hood explained that because of Killa’s outstanding recent elevation and achievement in the soca world there is a real possibility that an exception will be made for him to also receive such a title. “The rules provide for a cultural ambassador to be actively engaged in cultural activities for at least 20 years locally, regionally and internationally, but a case has been put forward for Killa to be recognised and we are reviewing the recommendation,” she said. Describing the two artistes as inspirations to young people, Hood said that they will go very far in the entertainment industry. “Tallpree has already made a name for himself and I believe that Killa is on the same path where he will do very well. He is part of the generation where the creative industries provides opportunities for personal development and growth and I know he will go very far,” she said.